Hot off the heels of a Miami Heat colorway, Nike drops another NBA team Air Force 1 Low, this time honoring the Los Angeles Lakers. This version of the low-top model sports a yellow leather upper with black contrast hits at the Swoosh, inner lining and heel tab, which features the same lenticular print treatment as the Miami Heat edition. An embroidered white outline around the Swoosh adds a premium touch, while a classic white cupsole completes the clean colorway. 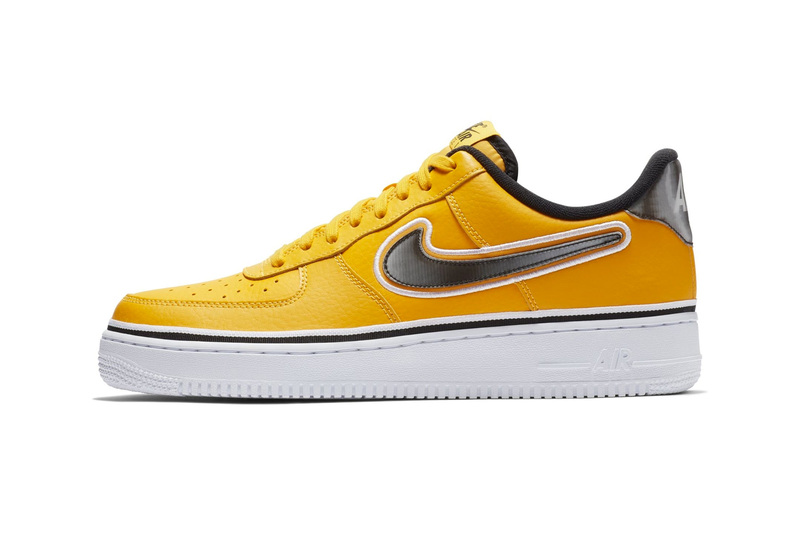 This LA Lakers Nike Air Force 1 Low is slated to drop on Nike’s web store at the start of the 2018-19 NBA season. Stay tuned for the exact release date. In the meantime, check out the new Air Jordan 33 model, which waves goodbye the laces and welcomes fast fit technology. Coming in a grey magenta colorway. His first release under RCA Records. Valued at 900 times what it retailed for. Prints sourced from images donated from five notable photographers.